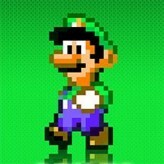 Play the role of Mario’s brother Luigi and go complete all the stages in this wonderful ROM hack called – Super Luigi Land! Will you be able to complete all levels in this Demo by using Luigi and his cool abilities? Good luck and have fun! Super Luigi Land is a 2018 ROM hack based on the popular Super Mario World game for the Super Nintendo Entertainment System (SNES) gaming console. 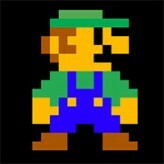 Created by username Choconilla, this hack stars Luigi, Mario’s brother. The hack not only replaces the protagonist’s sprite but also the abilities of the character. Unlike Mario, Luigi handles things a bit differently. 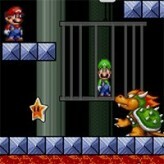 In this game, Luigi can jump higher, shoot straight fireballs, can wall jump, and do so much more. There have been 10,102 plays and 101 likes from 111 votes (91%) since 31/08/2018. 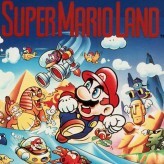 You are currently playing Super Luigi Land game for free on Arcade Spot. It is a single game out of a variety of games that you can play on Arcade Spot. 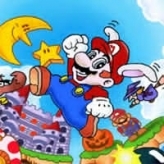 Play more games like Super Luigi Land in the Arcade, Emulator, Mario, Platform, and SNES gaming categories. This game has a rating of 91 out of 100 based on 111 user ratings. If you enjoyed playing the game, give it a thumbs up. Free Online Games and Arcade Games are added every day. Arcade Spot will bring you the best games without downloading and a fun online gaming experience on the internet.